New & Notable: Express v Implied Hearsay - does it make a difference? Baldree is a fascinating and important case that resolves an ongoing debate in the law of evidence: Are implied assertions of a factual proposition circumstantial evidence or is it part of the “contents” of a statement for the purposes of the hearsay rule? This debate has significant practical implications for if it is characterized as hearsay, the evidence is presumptively inadmissible: 2013 SCC 35. Cornwall police attended in response to a suspected break-in at an apartment. It belonged to a certain Eric Lepage but the police were greeted at the door by Eric Baldree who allowed them to come in. Upon entering, the officers immediately detected the odour of marijuana and discovered marijuana joints and marijuana buds in an ashtray. In the closet of a spare bedroom, they discovered an open safe containing a sandwich bag containing 90 grams of cocaine and, beside the safe, another bag containing 511 grams of marijuana. Baldree was arrested with three other people found in the apartment. Police seized a cell phone and some cash from him. Following the arrest and seizure of the phone, a person called it to arrange for a drug delivery. A police officer answered the phone and agreed to deliver the drugs at the price that Baldree usually charged. As part of the transaction, the caller gave his address. The police made no effort to locate or interview the caller and he was not called as a witness at trial. At trial, the judge held that the police officer’s testimony was not hearsay and admitted the contents of the call. Baldree was convicted of possession of marijuana and cocaine for the purpose of trafficking. On appeal a majority of the Ontario Court of Appeal allowed the appeal and ordered a new trial on the basis that the evidence was hearsay and should not have been admitted. Justice Watt dissented. The Justices of the Supreme Court were unanimous in finding that the implied assertions in the telephone call meant for Baldree were hearsay. Seven of the justices joined in the decision written by Justice Fish while Justice Moldaver wrote a concurring decision. No evidence is hearsay on its face. 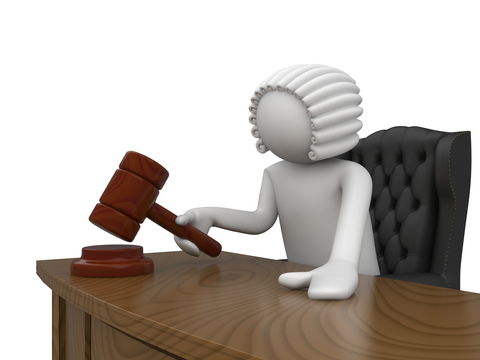 As mentioned at the outset, its admissibility depends on the purpose for which it is sought to be admitted. Evidence is hearsay — and presumptively inadmissible — if it is tendered to make proof of the truth of its contents [para 36]. I agree with Feldman J.A. that the Crown did not offer this testimony as circumstantial evidence that the respondent was engaged in drug trafficking. Rather, the Crown asked the trier of fact to conclude, based on Sgt. Martelle’s testimony, that the unknown caller intended to purchase marijuana from the respondent because he believed the respondent to be a drug dealer. The relevance of the statement thus hinges on the truth of the declarant’s underlying belief. Any inference can be drawn from the statement necessarily assumes its veracity [para 39]. Had the caller stated that he wanted to buy drugs from Mr. Baldree because Mr. Baldree sells drugs, this would have amounted to an express assertion that Mr. Baldree is a drug dealer. Thus framed, the caller’s assertion would doubtless have constituted hearsay. But the caller stated instead that he was calling because he wished to purchase drugs from Mr. Baldree. His assertion that Mr. Baldree is a drug dealer was no less manifest in substance, though implicit rather than explicit in form. In the Crown’s submission, implied assertions are not caught by the hearsay rule and the telephone conversation was presumptively admissible for that reason. In my view, the hearsay nature of this evidence cannot be made to depend on how the declarant framed his request. Such a formalistic analysis disregards the purposive approach to the hearsay rule adopted by this Court. Indeed, “it seems absurd that anything should turn on the grammatical form of the declarant’s assertions”: L. Dufraimont, Annotation to R. v. Baldree, 2012 CarswellOnt 1741. There is no principled or meaningful distinction between (a) “I am calling Mr. Baldree because I want to purchase drugs from him” and (b) “I am calling Mr. Baldree because he sells drugs”. In either form, this out-of-court statement is being offered for an identical purpose: to prove the truth of the declarant’s assertion that Mr. Baldree sells drugs. No trier of fact would need to be a grammarian in order to understand the import of this evidence. The need for a functional approach to implied assertions is readily apparent, bearing in mind the core hearsay dangers of perception, memory, narration, and sincerity [emphasis added]; [paras 40-44]. Following the determination that the implied assertion was indeed hearsay, Fish J. applied the dual criteria of necessity and reliability and held that the single drug call should not have been admitted. Of note, as part of his analysis of the necessity criterion, Justice Fish was critical of the Crown and the police for not attempting to locate, interview or have testify the mystery drug caller. Justice Moldaver joined Justice Fish in rejecting the drug purchase call under the principled approach to hearsay but wrote a separate concurrence to underscore his reservations with respect to Fish J.’s application of the dual criteria. With respect, I am not at all sure that this is the kind of “appropriate case” Charron J. had in mind when she said what she said in Khelawon [para 97-98]. Justice Moldaver appears concerned about setting up an unachievable necessity criterion that unduly restricts the search for the truth. The question that arises then is: should we be requiring the police, in the name of necessity, to track down unknown and often unknowable declarants, who are unlikely to be found and unlikely to be forthcoming and cooperative in the event they are found? In my respectful view, McKinlay J.A.’s logic remains sound, even on the facts here. Although it is true the police in this case had the benefit of the caller’s address, the caller’s identity was still unknown. Surely, the police were not going to show up at 327 Guy St. and ask who there was looking to buy drugs from Chris Baldree. Apart from officer safety concerns, the likelihood of the police finding the declarant would seem slim. And the prospect of the declarant being forthcoming and cooperative, if found, would seem even slimmer. An undercover drug buy would be even more problematic, given the number of officers who would be needed to see it through and the obvious risks to the officer safety inherent in such an operation [emphasis added]; [paras 104-106]. …Rather, it is “founded on society’s interest in getting at the truth” (Khelawon, at para. 49). Necessity should be viewed as a servant of the truth, not its master. For that reason, in cases such as this one — where the prospect of locating, identifying, and receiving accurate information from a forthcoming and cooperative caller is remote — if the evidence is reliable, it should be admitted because its reception into evidence will be necessary in order to get closer to the truth. If the evidence is not reliable, it should be excluded. Either way, in my view, the focus should be reliability [emphasis added]; [para 109]. My point is simply that had the circumstances been somewhat different, there may well have been a satisfactory basis for evaluating whether the caller believed Mr. Baldree was a drug dealer and whether that belief was in fact true. That is what threshold reliability requires. Setting aside the facts of this case, we do not know what the circumstances of some future call might be. I would thus caution against the notion that only multiple calls can be reliable [para 124].